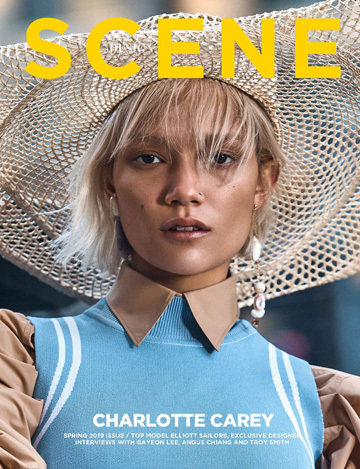 DESIGN SCENE issue #024 is around the corner, before the release discover our 2nd teaser cover starring ’90s supermodel AMY WESSON photographed in New York by photographer Arale Reartes. In charge of styling was Marti Arcucci, assisted by Nikolett Nemeth. Beauty is work of hairstylist Kiyo Igarashi using ORIBE and makeup artist Louise O’Neill at The Industry using CHANEL. Production by Sheri Chiu. Amy who is represented by New York Model Management wears on the teaser cover total look Prada, from the Pre-Fall 2018 collection.